There are rare places that feel more like coming home than just visiting. 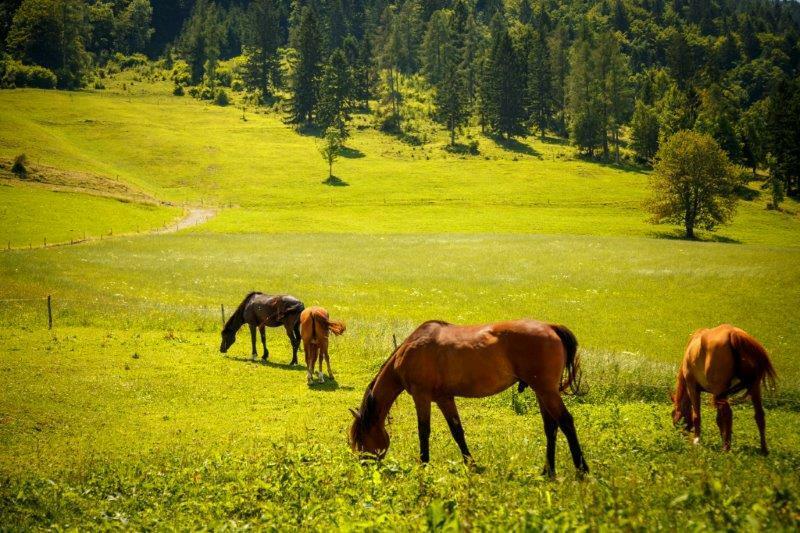 Nestled high in an almost forgotten village of Zakojca, on the edge of Primorska region, the tourist farm Pri Flandru offers treats for the whole family; from the delicious homemade food to riding horses. All you have to do is get there. And then you might not want to leave. 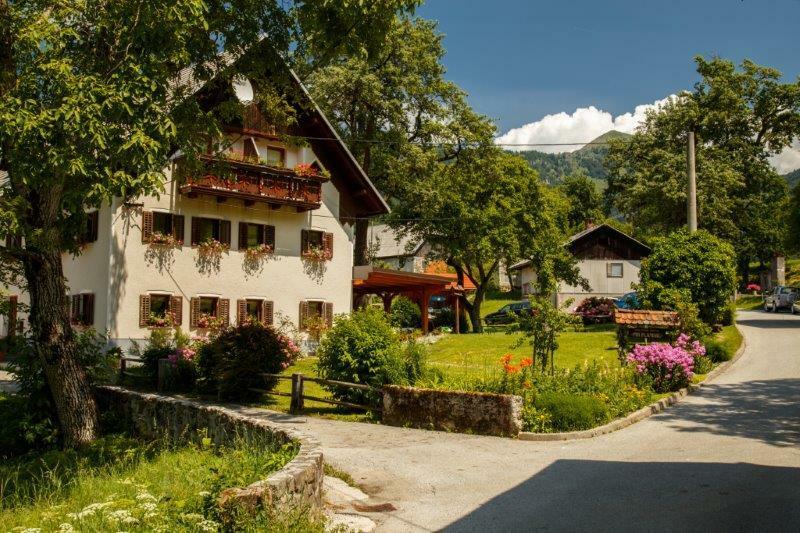 Three summers ago, our friend, who is from the nearby town of Cerkno introduced us to this gem, 700 meters above the sea level, looming on the verge of a precipitous slope, Kojca. 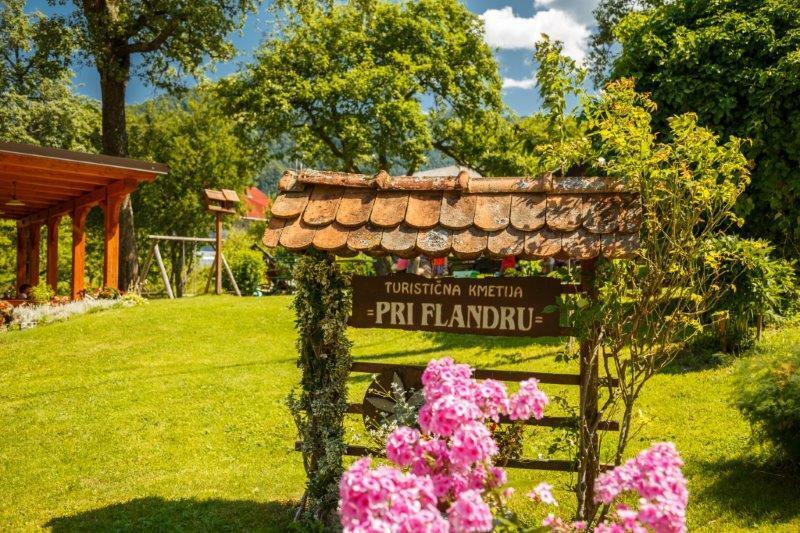 Tourist farm, Pri Flandru – meaning At Flander’s is owned by the friendly family Tusar and is positioned at the beginning of a small village Zakojca. Getting there is no easy task, but once you do, it is well worth your time. Besides sometimes it’s better to take the road less traveled. Driving up certainly feels like it; braving narrow paths and wishing you don’t meet any cars coming from the opposite direction. Luckily you rarely do, because not many venture into these almost forgotten places. Though more than I thought. But the owners of the farm make you feel as if you are their sole concern even though it’s evident they don’t lack guests. Surprisingly, a German family was lounging on the meadow in front of the house upon our last arrival. Speaking to the owner, he confirmed my belief, yes, they do have many foreign guests. It shouldn’t be a shock really, just because it took me time to discover this remarkable location, it doesn’t mean true peace and quiet connoisseurs have missed it. And as our two families with four kids interrupted the pleasant tranquility, where for a moment it seemed that time stood still, the German family moved on to one of the trips they (I hope) already had on their agenda. Our kids were suddenly all over the place and while somewhere else this might be frowned upon, here it is a welcome occurrence. The adult part of the group wanted their first cup of coffee before anything else and this being our third visit we already felt like we knew the place. Still the views of the bucolic landscape never stop to impress me. Horses were up on the pasture, free almost as if they were wild. It didn’t take long, I barely took a sip of my coffee and I was already being dragged to marvel at the cows resting in the shade of an apple tree. While we observed the tranquil farm life, delicious food was getting ready. 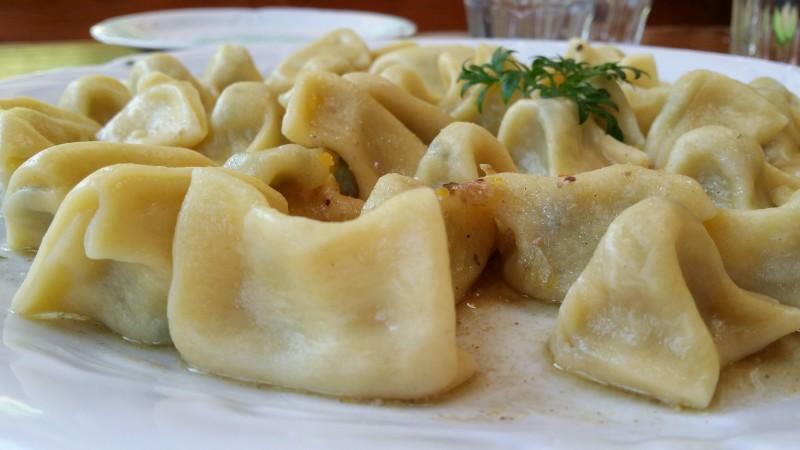 It was here that I had the distinct pleasure of trying Idrijski zlikrofi (stuffed dumplings famous in the Idrija region) for the first time and it was love at the first bite. Since then I wait a year to come here again and get my fill. Yes, of course there are more places I could get the serving of this delicacy but I just don’t want to ruin it. Because here it is more than just food, it’s the views, the company and it’s the fact that I have time to savor every bite, as kids have so many things to keep them occupied. I have a plate to myself and time to enjoy it. Thus for me both the farm and the food are closely intertwined. Though you could stumble upon here just for the views, peace and quiet but why wouldn’t you grab a chance to enjoy some really good homemade local treats? This time around we only came for coffee but I was not leaving without a serving of zlikrofi. We were staying near by but the farm also offers nice and cluster free sleeping accommodation. In two triple and four double beds it sleeps 14 guests. We ended up staying for a couple of hours, sprawled on the wooden loungers with plush pillows and watched kids play. And we couldn’t leave without them riding horses. It was an adventure, one we were sorry to have it end. I can’t wait for another Summer that will definitely include a trip to this farm, a place that makes you feel like coming home from the very first visit on .